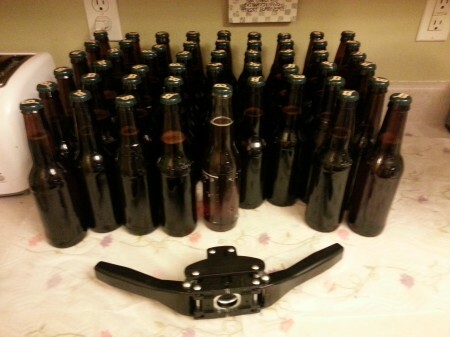 I just bottled my first 5 gallon beer YEAH. I have done several Mr. Beers in the past, but those were all using plastic bottles. Thinking it wouldn’t take more then an hour and a half, I started getting all my bottling supplies prepared. I got 54 bottles ready, sanitized them using star-sans, boiled my 5oz of sugar, transferred my Irish red from the carboy to the bottling bucket (sanitized). I started bottling, spilled a little here and there, but I thought overall pretty good. I ended up with 51 bottles, which I thought was awesome for my first batch. Took the first 36 bottles down stairs to my unfinished basement (had boxes from previous 12 packs). Then I was going to take the last of the bottles down stairs. I had 12 bottles which were in two 6 packs (in a plastic bag) in one hand, and in the other hand a 6 pack (3 full/3 empty). I made it about 1 step and the bottom of the 6 pack gave away. All six bottles went down the stairs, 2 of the full ones broke, and I think 1 of the empty ones broke. Beer and glass all over, good thing the basement is unfinished, but still made a huge mess and this is at about 10:15 at night, and I was ready to go to bed. Over an hour later, I am finished cleaning up the mess. I was too frustrated to take any pictures of the mess! The bad, I lost two bottles of beer. The good, I still have 49 bottles of beer. I put them all in totes just in case of bottle bombs, taking no chances with this. Just wanted to share my first bottling experience. 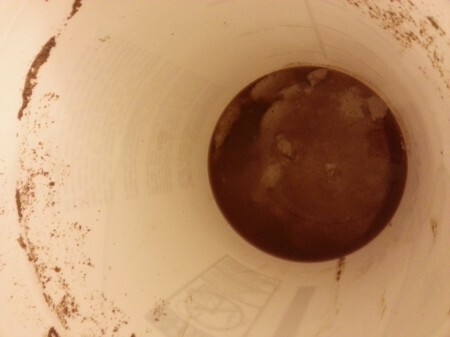 So, since this is my first brew, I thought I would show what I have done. 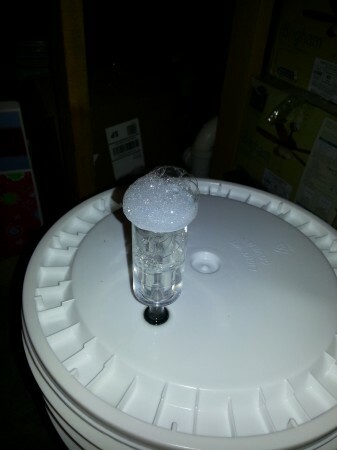 Moving from the primary to the secondary (carboy). 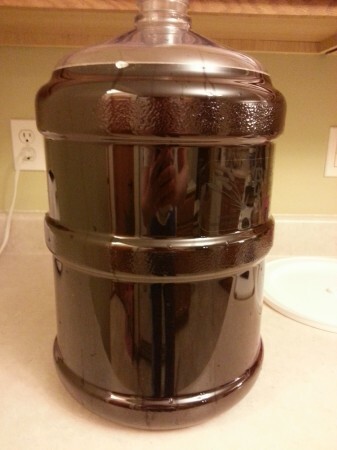 Full carboy, almost 5 gallons. Drew a little for tasting, unbelievably awesome. 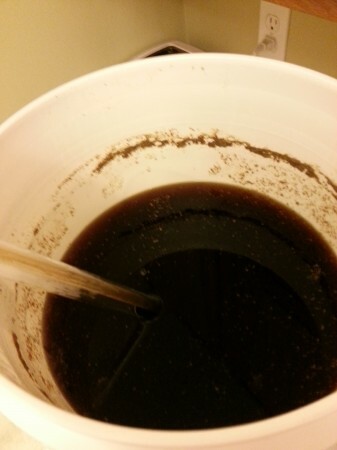 Cant wait for it to be carbonated and cold. Sludge, glad this settled out. 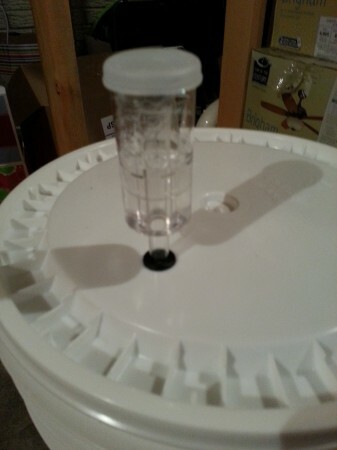 I will post some more pictures when I get around to bottling. Look at what came home with me, a new bigger brewing kit! 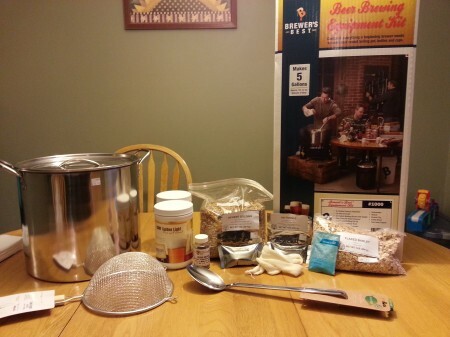 I received the Mr. Beer kit for my birthday, while it worked great, most of the brewing community does everything in 5 gallons batches, so I have decided to take brewing to the next level. 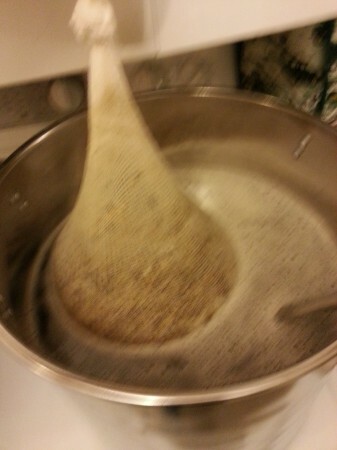 Sorry, a little fuzzy, but steeping the grains. 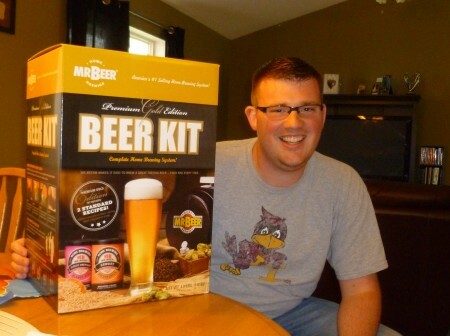 For my birthday, I got a Mr. Beer kit. I wanted to get into brewing, but didn’t want to take the leap into a expensive kit, so this turned out to be a great gift. 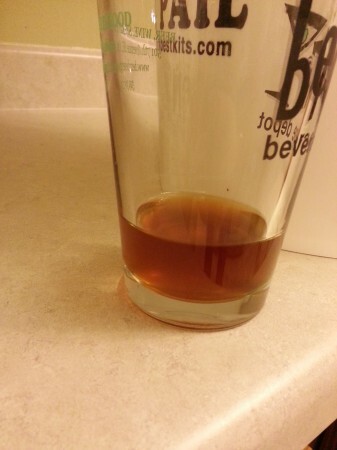 I brewed the Cowboy Lager first, and it turned out really good. 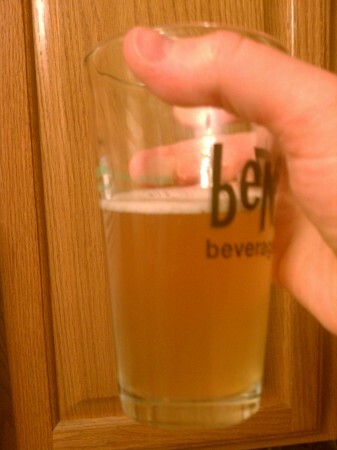 Here is a picture, it has a little yeast from the bottom of the bottle, normally its not so cloudy. 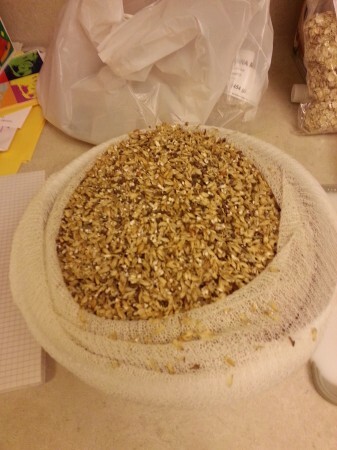 Just brewed the Blonde Ale, look for a status update in about a month.